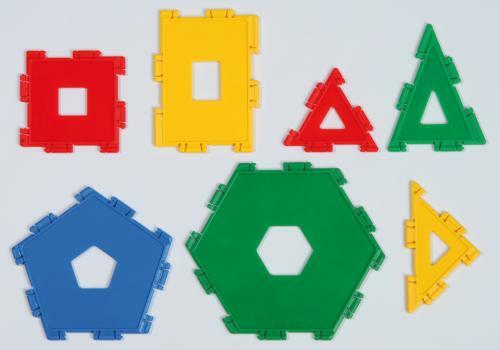 7 geo shapes which can be fixed together, edge to edge. solid. 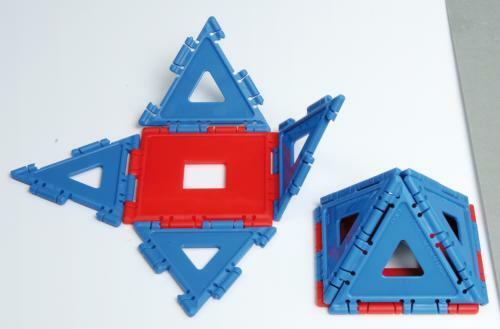 The shapes are made from durable plastic material.